Based on fieldwork in Haiti and in three cities of the Haitian diaspora--Miami, Montreal, and Paris--this study offers a vivid portrait of the power of faith for immigrants. 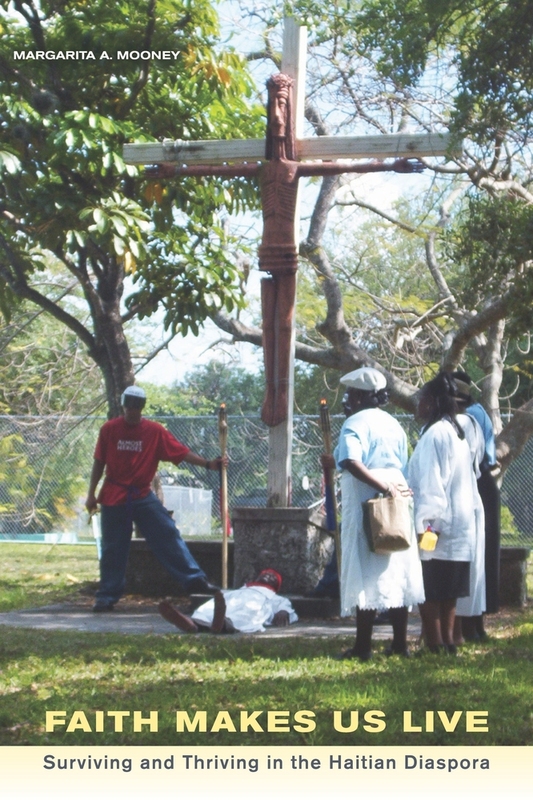 Drawing on extensive interviews and including rich details of everyday life, Margarita Mooney explores the struggles and joys of Haitian Catholics in these three very different cities. She finds that religious narratives, especially those about transformation and redemption, provide real meaning and hope in what are often difficult conditions. However, Mooney also finds that successful assimilation into the larger society varies from country to country, having less to do with these private religious beliefs than on cooperation between religious and government leaders. In the United States, the Catholic Church is able to offer services and advocacy that help immigrants succeed, but it is not able to do the same in France or Canada. Presenting a powerful picture of traditional Catholic piety that overturns many assumptions about Vodou practice in Haitian Catholicism, this work also provides a groundbreaking comparative perspective on how immigrants' experiences and opportunities vary greatly across different nations. Margarita A. Mooney is Assistant Professor of Sociology and Faculty Fellow of the Carolina Population Center at the University of North Carolina at Chapel Hill. "What excites me most about Faith Makes Us Live is that it analyzes the role played by the Catholic Church in immigrant incorporation while taking into consideration the distinctive challenges met by Haitians in three societies that treat the poor, immigrants and people of color quite differently. The comparison between Miami, Paris, and Montreal is particularly felicitous given differences in the position and influence of the Church, the characteristics of the Haitian populations, and the public resources available to immigrants across these three contexts. By showing how religion sustains resilience and empowerment for a particularly vulnerable group of individuals, Mooney demonstrates the crucial role of meaning-making matters for immigrant incorporation. "—Michele Lamont, Harvard University. Chapter 6. What Lies behind the Mountain?